Fans of Michael Chiang can rest assured - he's still got game. High Class may be Chiang's first play after a whopping 14 years but it's another funny and feel-good crowd-pleaser from the man who has given us some of the most iconic Singapore plays of the Eighties and Nineties: Beauty World, Army Daze, Mixed Signals and Private Parts. 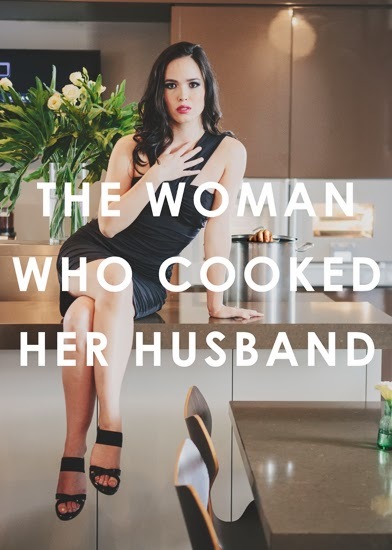 In this light-hearted romp through the lifestyle of the rich and glamorous, Alexis Wee, a divorced tai tai with millions to her name, sets out to create a reality television show to groom young women to follow in her footsteps and court a wealthy man. Unfortunately, her property-tycoon ex-husband and his catty mistress sabotage her plans by introducing five of the most unlikely contestants onto the live show at the last minute. The play cleverly incorporates an element of meta-theatre and we are treated as the live studio audience to Alexis's show by the "floor staff" and repeatedly reminded to clap or boo with the aid of large placards. 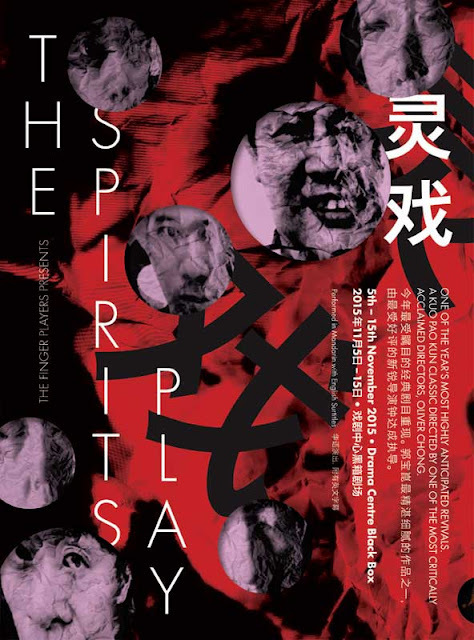 As in Army Daze, much of the comedy revolves round this group of misfits comprising a dengue inspector (Jo Tan), bubbly tudung-wearing teacher (Gloria Tan), Beijing masseuse (Audrey Luo), haughty beauty queen (Mina Kaye) and tomboy property agent (Serena Ho). This colourful, racially diverse crew have great dynamics and are a joy to watch. 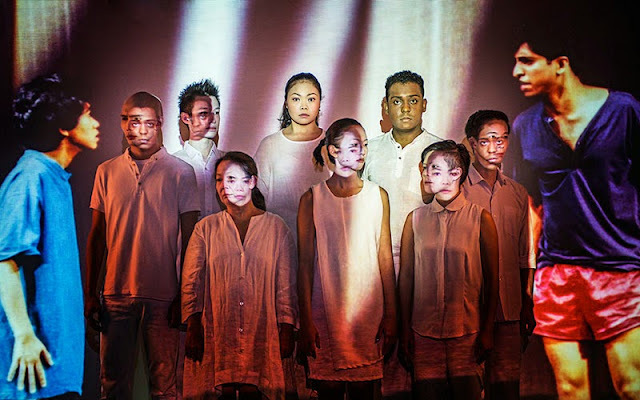 Jo Tan, a last minute substitute for Elizabeth Lazan, is delightfully quirky as the insecticide-wielding Sunita and there's a scene-stealing performance by Audrey Luo who invests her character with a perfect mix of caricature and deadpan earnestness. The play is anchored by Nicki Muller's magnetic performance as Alexis. Muller, in her stage debut, is charming, poised and incredibly likable. There is also good support from Alexis's best friends, hairstylist Mac (an effete Shane Mardjuki sporting a ridiculous lock of coloured hair) and producer Samson (Ebi Shankara), and the banter between the three friends acts as a nice counterpoint to the rivalry between the five contestants. Director Beatrice Chia-Richmond orchestrates the large cast well and excels in bringing out the comedy in Chiang's script. While the physical gags occasionally feel a little overdone, the action clips along at a good pace and there is good work on the costumes and choreography. The set by Goh Boon Teck, however, proves disappointing. With just a central rotating platform, three projection screens and a "bar" that swings down every now and then, the atmosphere feels a little too sparse and impersonal to conjure up this glitzy world. Original songs by Don Richmond liven up the scenes, including the catchy "Tai Tai Me Up", the naughtily punning "Stiff One" and wistful "Diamond Life". One is however left feeling that these songs are mostly filler that have been inserted to spice up a production that, for all its oddball comic charm, is rather thin. Chiang's thesis is essentially the fact that that tai tais are not as shallow as they seem; they genuinely care about people and want to do good for society. Yet token references to Alexis setting up homes for the elderly and her humble background seem hollow. Unlike bumbling everyman Malcolm Png from Army Daze or girl-next-door Ivy Chan Poh Choo from Beauty World, the character of Alexis is just too glamorous and perfect for us to have much of an emotional connection with. The sudden revelation at the finale seems trite and I felt somewhat cheated by the fact that no one tells us what happens to Alexis in the end. 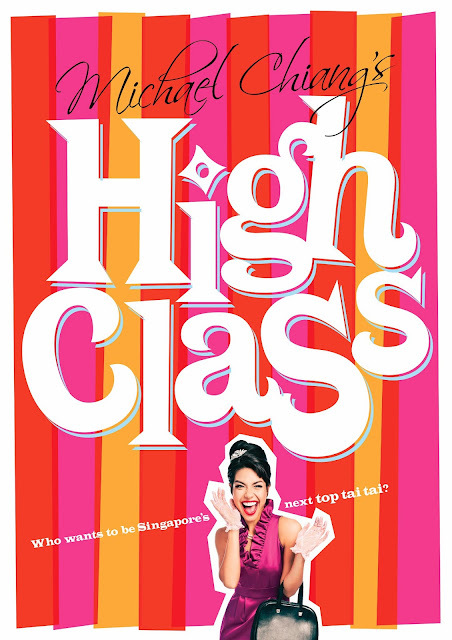 High Class is a play to be enjoyed with family and friends of all ages, and there's no denying that Chiang knows exactly what ingredients are needed to elicit laughs and give his audience a good time at the theatre. He's nailed a winning recipe but I just wish that this comeback had more to it than two hours of frothy spectacle.